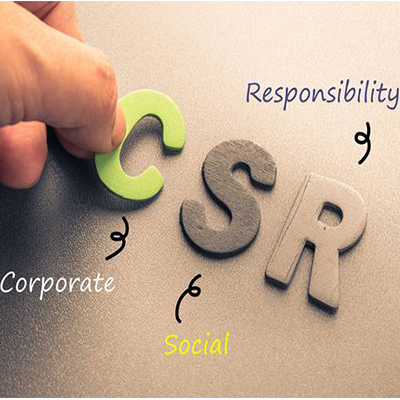 Corporate Social Responsibility (CSR) is about building a socially responsible business striving for social change along the line of seeking profits. The concept of CSR is associated (but, not limited) with all the stakeholders like customers, employees, investors, society and government. While all companies look for maximizing profit, blending this ambition with social values and cultural responsibility helps in enhancing the long term value creation of a business. Corporate houses can perform CSR of different kinds and scale, which may or may not require an added investment. The overall CSR penetration in Nepal is quite low with many corporations not familiar with its broad concept. Majority of the CSR activities in Nepal are socially driven projects that help to empower marginalized communities. So, there is a widespread misconception in Nepal that CSR is limited to charity and CSR activities are possible only with hefty spending and sizable funding. But, in reality, CSR reflects concepts broader than that and can also include activities that don’t need large investments and grants. There exist some corporate houses in Nepal that are involved in CSR activities consistently throughout the year. Companies like Chaudhary Group, Nepal Telecom, Ncell, Panchakanya Group and commercial banks mostly gain the limelight in the CSR scene of Nepal. Their consistency in large scale CSR activities have helped them come in the forefront of CSR scenario in Nepal. In addition, a lot of small and medium enterprises (SMEs) have also integrated CSR activities in their businesses with components like ethical labor practices, environment-friendly operations and socially benefitting programs like free health check up, blood donation and so on. The annual plans for CSR projects of these industries don’t require prior approval from the government authorities. Their CSR fund is to be utilized as prescribed in their annual plans and policies. According to this Act, the industries will be penalized at the rate of 0.75% of the annual revenue for failure to comply with the CSR obligation. 2) CSR law for Banks and Financial Institutions (BFIs): According to the circular for Bank and financial institutions (BFIs) issued by Nepal Rastra Bank, BFIs should deposit at least 1% of their net profit in their CSR fund. Unlike IEA, this circular has categorized sectors where the fund should be utilized. The sectors are: social projects, direct grant expenses, sustainable development goals or/and setting up a Child Day Care Center for employees. For non compliance to the NRB circulars, both fine and imprisonment sanctions are defined according to Nepal Rastra Bank Act 2002 (2058). The introduction of CSR law in Nepal seems to be a good start to grow the CSR culture in Nepal, but it can’t guarantee that the obligatory CSR activities will be genuinely carried out. These mandatory CSR laws of Nepal have been criticized by many Nepalese experts who argue that CSR should be voluntary and not an obligation for businesses. Companies should feel their responsibility themselves and carry out CSR activities in the best interests of the stakeholders voluntarily, and not just by the obligation of law. Only then, an effective implementation of CSR activities can be ensured. Even with the established CSR culture in Nepal, the actual concept of CSR is yet to be absorbed well by the corporate ecosystem in Nepal. The major CSR activities undertaken in Nepal reflect substantial number of hours and money spent in projects, but the impact to the concerned stakeholders is hardly felt. And, most of these activities are found to be in no connection with the company’s vision or strategy. So, this calls for a pressing need to develop a coherent framework for strategic CSR in Nepal. 1) Free Cataract Surgeries, Anthropose: Anthropose is a for-profit social-good company in Nepal that sells eye-wears as a means to solve the problem of cataracts in Nepal. For every 10 pairs of Anthropose glasses sold, they donate money to Tilganga Institute of Ophthalmology to sponsor a cataract surgery for one person in rural Nepal. With their motto ‘Get. Give. Change’, Anthropose sells high quality eyewear, carrying alongside an impactful social drive. 2) Ground water recharge system, Bottlers Nepal: Bottlers Nepal Limited, the authorized bottler of The Coca-Cola Company in Nepal, has initiated the set up of Rainwater Harvesting and Ground Water Recharge System in Kathmandu through different partnerships. Back then, Coca-Cola faced a wide criticism for exploiting water resources, and the company set a goal of sustainable water use. This vision was well integrated in the CSR initiative led by Bottlers Nepal. 3) Environment friendly practices, CE Construction: CE construction, a construction company in Nepal, emphasizes on using environmentally friendly products. CE has been using bricks produced by Vertical Shaft Brick Kiln (VSBK) technology, which is one of the cleanest methods of brick production around the world. CE has also been constructing roads and doing plantation programs in the areas where it has set up hydropower projects. These CSR initiatives are leading examples that if genuine CSR is integrated into an organization’s values, it can create everlasting impacts in the stakeholders. CSR is something that a company can voluntarily work upon, to balance business and social benefits. Even startups and small scale companies can embed CSR into their business with minimal or no investment. CSR shouldn’t be a compliance based activity, and today’s businesses should follow their corporate social responsibility in whichever level possible to be a sustainable and socially responsible business.